"As a former in-house counsel, I know that the most important skill I bring to any client relationship is the ability to put myself in the shoes of my clients –understanding their business and helping them achieve the best business solutions for their issues. This type of approach is an integral part of our culture at Freeborn." 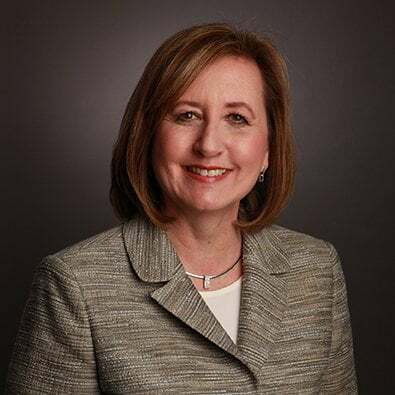 Cindy Bergmann is a Partner, Leader of the Transportation Industry Practice Team, Co-Leader of the Corporate Practice Group and former Chair of the Firm’s Executive Committee. She focuses her practice on the legal and business affairs of public and private companies, including mergers and acquisitions, financing, real estate and general corporate matters. Cindy assists large and mid-size corporations with the acquisition and sale of subsidiaries, joint ventures, development of new facilities and strategic initiatives, with a special focus on the transportation industry. She also has extensive experience in all aspects of commercial finance and real estate. Cindy's finance practice includes representing borrowers and lenders in a broad range of financing transactions, including secured, real estate and construction loans, subordinated debt and equipment lease transactions, as well as representing borrowers and lenders in loan enforcement and workout matters. Cindy’s real estate practice includes representing clients in the acquisition, development, construction, leasing and sale of office, industrial and residential real estate. Before joining Freeborn, she was U.S. Corporate Counsel for Canadian National Railroad where she managed all legal aspects of U.S. corporate, real estate and financial matters, including mergers and acquisitions, corporate governance, the acquisition and development of new facilities, the disposition of surplus assets, financing transactions, equipment leases, credit policy and bankruptcy management. As a member of the Transportation Team, Cindy advises transportation companies on their legal and business affairs, including mergers and acquisitions, financing, real estate and general corporate matters. Cindy is the President of the Association of Transportation Law Professionals and has served as the Annual Meeting Program Chair, Treasurer and Secretary. Cynthia A. Bergmann provides commentary for the article "Amtrak’s STB Preference Win Tees Up Legal Challenges," which was published Aug. 5, 2016, by Law360. Cynthia A. Bergmann is quoted in the article “DOT Oil Train Rule Sparks Security, Compliance Concerns,” which was published July 21, 2016, by Law360.